A brief period of maceration gives the wine its slightly pink color and determines the action of the aromatic varietal substances that bring out the grapes’ floral, fruity and surprisingly typical characteristics. The long and gradual fermentation cycle together with a sustained period in the presence of yeasts, both in the wine and during re-fermentation, confers delicacy and elegance on this cuveé and makes it persistent on the palate. Delicate rose color with fine and persistent perlage. Elegant, complex bouquet on the nose with scents of rose, hints of fresh fruits and lychees. The sip is full, sapid, harmonious, with a well-balanced acidity. 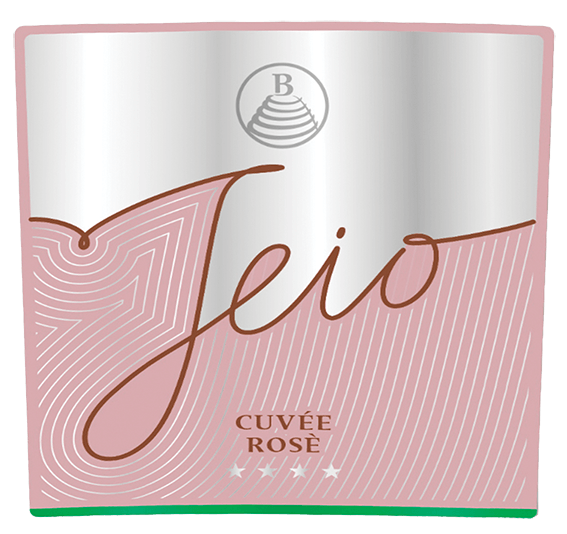 A deliciously fruity and dry sparkling wine with melon, light strawberry and citrus aromas and flavors. Full-bodied, tight and fruity. Fresh finish. Serious character to this. Bottled in 2018.